Armidale Dumaresq – National Runner up Water Conservation 2013. Armidale Dumaresq – National Runner up overall most Sustainable Community 2013. 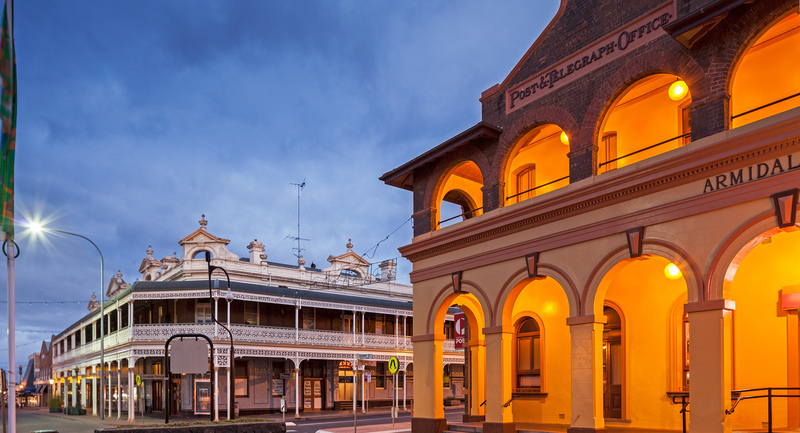 Armidale received an international accolade from the Intelligent Community Forum being named in the Top 21 Smart Communities in 2016. ICF (Intelligent Communities Forum) is an international think tank which studies and promotes the best practices of the world’s most intelligent communities as they adapt to and seize the opportunities presented by the advancement of technology. Their mandate is to help cities build prosperous economies, solve social problems and enrich the lives of those who live there. The Armidale ICF application was a collaborative effort by the Armidale community, co-ordinated by Council (Harold Ritch – Project Manager Economic Development) and with input from the Armidale Digital Economy Implementation Group (DEIG), headed by Alun Davies as Chair and Co-ordinator, and support from a host of agencies and businesses from that group including RDANI (Nathan Axelsson), UNE (Tony Sorensen), NSW Dept Industry (Peter Sniekers) and the Armidale business community. Prestigious IABC Gold Quill International Excellence Award for Excellence in Research to evocities, of which Armidale Dumaresq Council is part.